Show your appreciation to the brave men and women that have sacrificed so much for our country with these All Gave Some, Some Gave All T-shirts. Since America declared independence, men and women have offered their time, talent and lives for the American way of life. Do you have a loved one in the military? These Some Gave All shirts are a great gift for them, whether you�re wearing it yourself or giving the shirt as a gift. Show your gratitude to the armed forces with these Some Gave All, All Gave Some T-shirts. 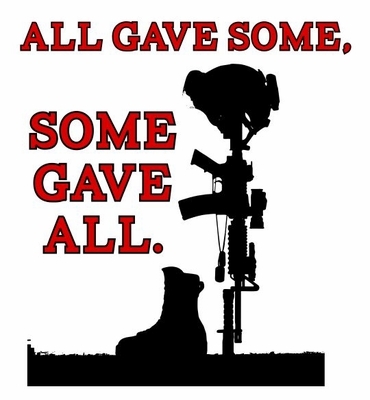 Remember� you found the All Gave Some-Some Gave All Shirts at TShirtHub.com, where high quality came at a low price.